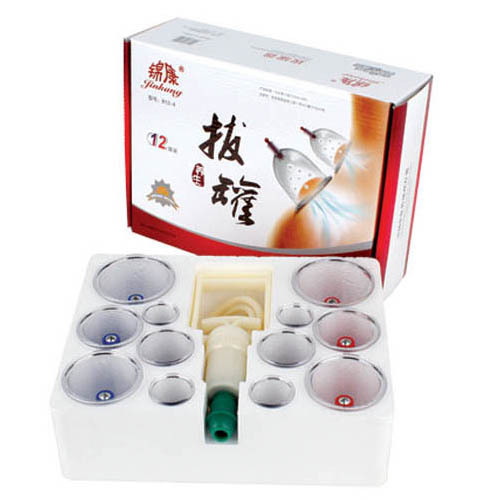 13 pieces family cupping, adopt special AS material, strong resislence to fall off. The new value design, Hign air tightness. 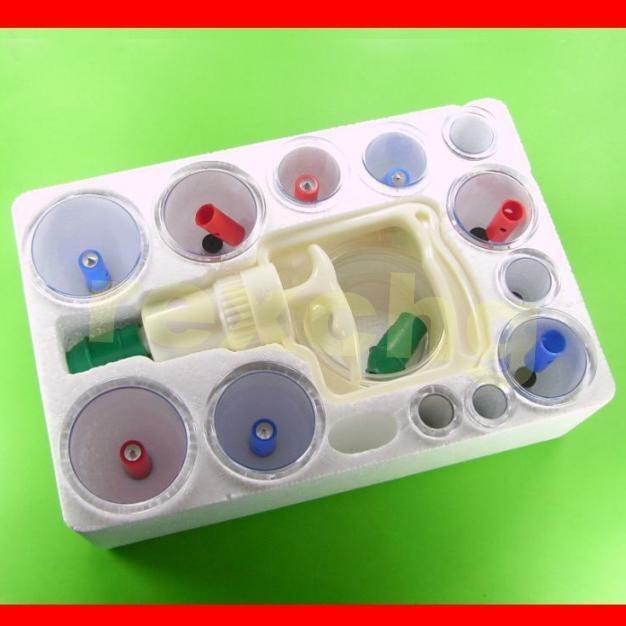 This is a vacuum cupping tool. Cup is applied to the skin and the air pressure in the cup is reduced (by draw out the air use the vacuum gun), so that the skin is held in the cup and the stasis of blood will come out of the body. It has been known as a good way of healthy therapy in modern family use. relieving fatigue and effective for many kinds of disease; such as agrypnia, omarthritis, impetigo, pulmonary tuberculosis, Hemiplegia, and rheumatism etc. 1. Separate the stopper on the top of the cup before cupping. 2. Choose the proper size cup for different part of your body. 3. Press the cup on the skin tightly with one hand, with another hand pulls up the spring of the gun which you have put on the top of the cup. The air in the cup will be moved out and the cup can be held on the skin tightly. Then you can take the gun off the cup by revolving up the gun. 4. 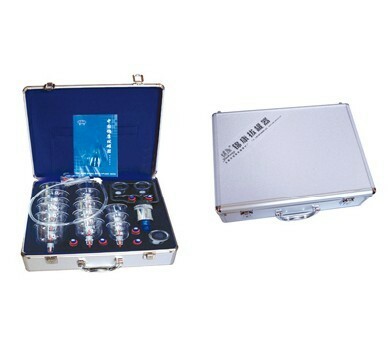 The cupping time should be 5 to 20mins each time. The skin will turn red but be carful not to burn the skin. 5. When time’s up, separate the valve on the top of the cup then you can take the cup off. 1. Cleaning the cups with medical alcohol or disinfectant before and after cupping. Do NOT use the corrosive lubricants. 2. 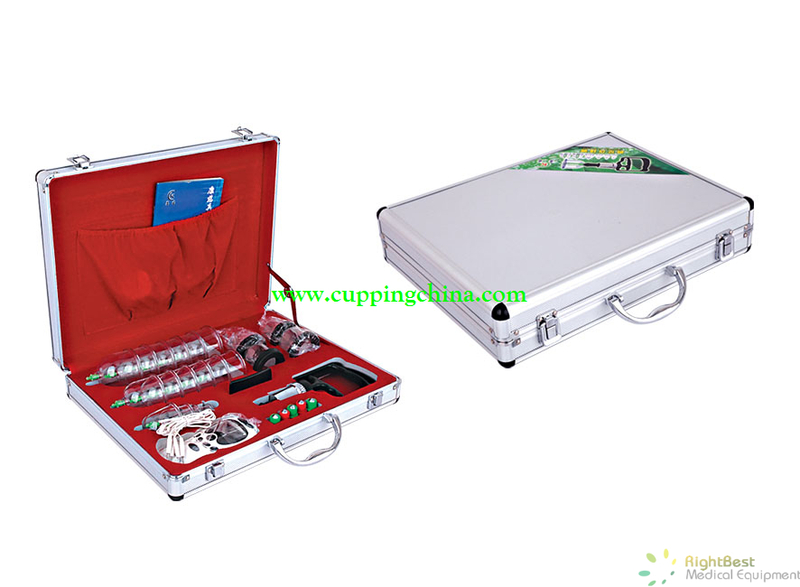 During cupping, please keep warm and keep away from the wind in case of catching cold. It is advised to have a cup of hot water after cupping and NOT taking a bath in half an hour. 3. 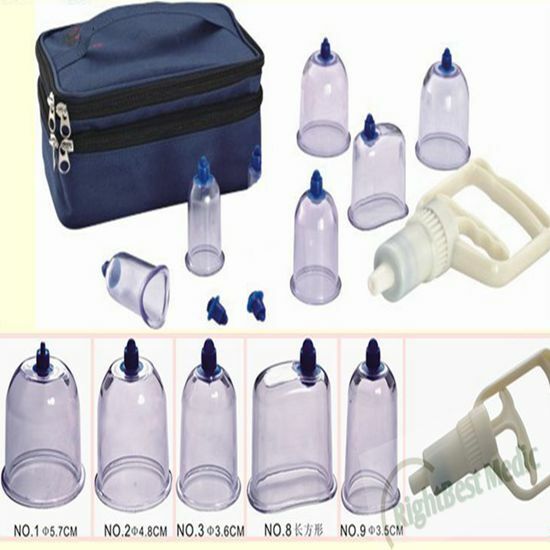 STOP cupping if you feel dizzy, chill and chest tighten and any other uncomfortable feeling. Please have a cup of hot water. And you will feel better after a break. 4. 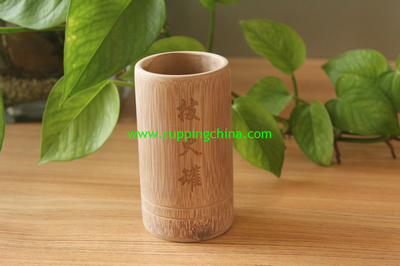 A few of the cups are not easy to be taken off due to heavy pressure. In this situation, please press the skin nearly around the cup with your finger so that the air can get inside and the cup get loosen. 5. 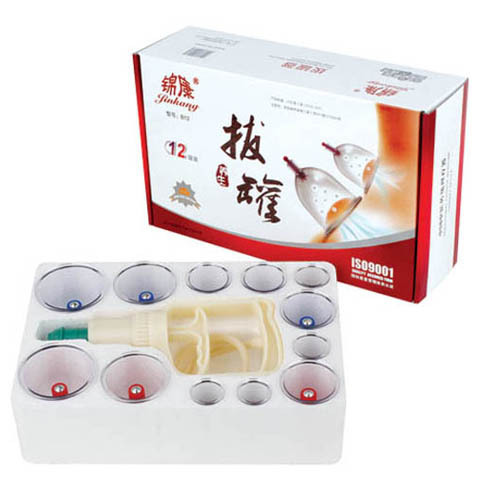 Cupping position on the skin should be flexible according to different diseases, since different diseases are correspond to different acupuncture point on your body. 6. Pregant women, skin allergies, ulcer, edama, and large blood vessels distribution site, unfavorable cupping and keep away from children.